Cheese can be an important part of many meals and diet plans. Because cheese is produced from milk, many of the same nutritional factors associated with milk are also associated with cheese, which can have both beneficial and detrimental effects on your body. You should discuss the inclusion of cheese in your diet with your nutritionist or health care professional if you have any concerns. Dairy products, including cheese, provide vitamins A and D. Vitamin A maintains healthy vision, the immune system and red blood cell production. Cheese also provides two important minerals, calcium and phosphorus, which support the growth and maintenance of healthy bones and teeth, and can lower your risk of developing osteoporosis. Calcium also plays a role in the health of your nervous system. You need protein daily because protein is a part of every cell in your body. Cheese provides significant amounts of complete proteins, or all of the nine essential amino acids that you need for good health. Firm cheeses such as cheddar contain more protein than softer cheeses such as blue cheese, as noted on the Metro Richelieu website. You should get between 10 and 35 percent of your calorie intake each day from protein, depending on your age, gender and health status. 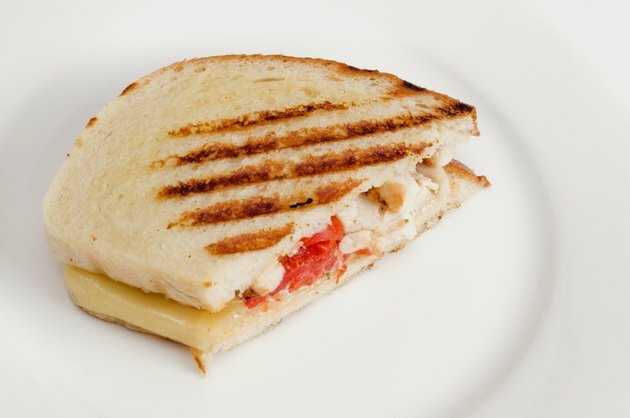 You can incorporate cheese into your diet as part of your protein intake. Your dietitian can help you make appropriate choices. Cheese can also contribute large amounts of fat and cholesterol to your diet. Less than 30 percent of your daily calories should come from fat. Too much fat or cholesterol can cause you to gain weight, develop heart disease and develop certain cancers. The amount of fat in a cheese depends on the fat content of the milk that was used to make the cheese. You should select cheeses made from no-fat, 1 percent fat or otherwise low-fat milk to better control your fat intake. The sodium content in cheese can also be high because of the salt added to the milk during the fermentation process. Salt can increase your risk of developing high blood pressure, or hypertension, as well as heart disease. Ideally, you should only eat between 1,500 and 2,300 milligrams of salt each day, but the average American eats more than that each day. Even small amounts of cheese can supply large amounts of sodium. For example, 1 ounce of American cheese contains 406 milligrams of sodium. 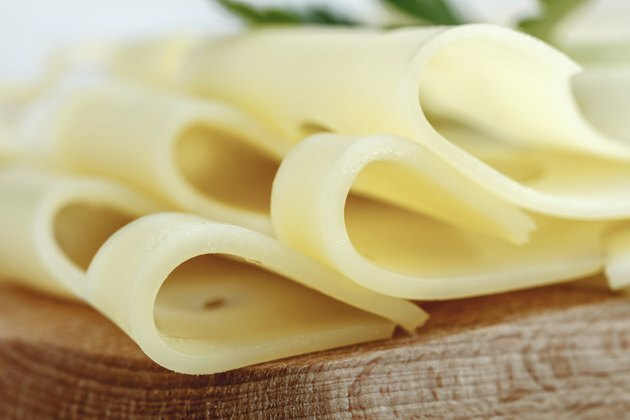 For people with hypertension, lower-sodium versions of some cheeses can be purchased, such as low sodium cheddar cheese, Brie or Gouda, according to LowSaltFoods.com. You should discuss your recommended salt intake with your health care provider and adjust your cheese intake accordingly. If you do not have enough of the enzyme lactase in your gastrointestinal tract, you might have problems when you consume dairy products. 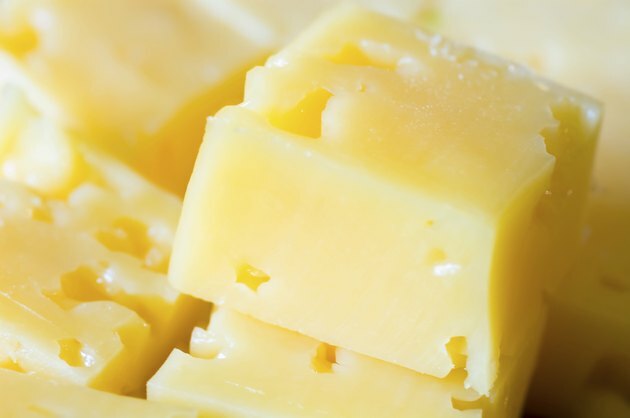 People with lactose intolerance might have problems eating cheese, but for many people with this condition, cheeses such as cheddar or Swiss might be well tolerated. 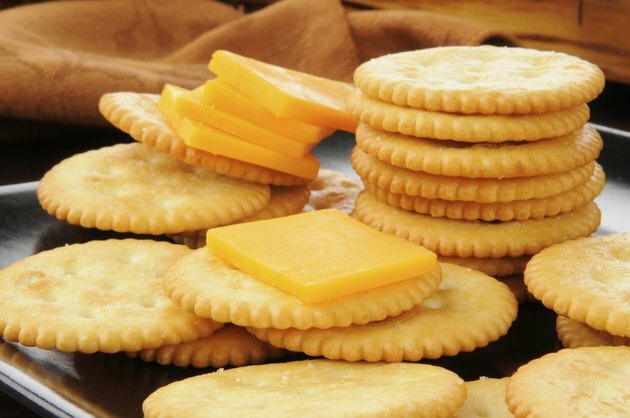 These cheeses often have low levels of lactose; 30 grams of cheddar has approximately 20 milligrams of lactose. One cup of milk contains 12 grams of lactose. If you are lactose intolerant, you will have to experiment to determine if cheese has an unpleasant effect on your body. Can I Eat Cheese With Type 2 Diabetes?